Jack Loew has been a busy man the past couple weeks as the world-class boxing trainer has been busying doubling as a promoter and putting the finishing touches on quality pro boxing card loaded with Youngstown talent to be held at the Palermo Center in Campbell this Wednesday, November 21st. One of the most anticipated matches of the evening is going to be the return of Loew's right-hand man at the Market Street gym, Vinny O'Neill (3-2-1). O'Neill, 39, will be making his return to the ring for the first time since suffering a decision loss to Angel Figueroa in 2014. "I'm just ready to get in there and get it on," O'Neill said of his return to the ring. "You schedule a fight three months ago and time flies then the week before the fight time starts to go real slow". Though some might view his age as a disadvantage, O'Neill, who will take on James Lester (12-15-1) of Detroit in a 6 round lightweight contest says he is feeling as good as he has in a long time. "I'm feeling good and strong and for my age my I feel hand speed at the moment after a three-year layoff". O'Neill's return to the ring isn't the only return that is starting to generate some buzz as 38-year-old Darnell Boone will be fighting in the Mahoning Valley for the first time since 2007 will take on Lamont Capers (9-13-4) of Hawley, Pennsylvania in a 6 round cruiserweight contest. Boone (24-24-4) is known the most feared fighter with a .500 record having wins over world champion Adonis Stevenson, and world title challenger Willie Monroe Jr while taking the former pound for pound king Andre Ward the distance as well as former world titlist Sergey Kovalev. 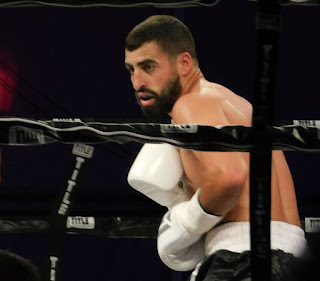 The most intriguing fight on the card might the busiest fighter in Youngstown, Danny Rosenberger (4-5-3) taking on 23-year-old Roque Zapata (5-2-4) of Culpepper, VA by way of Panama in a 6 round super welterweight contest. "I think this is the most ready I think I've been for a fight in my career," said Rosenberger. 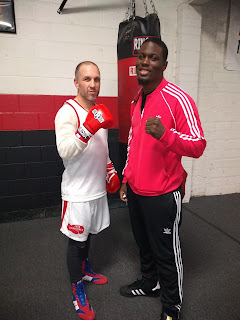 "On top of my regular boxing and road work I've been working with a guy named Brian Needham who opened up a place in Howland called Combat Athlete and I've been going there three days a week and he is pushing me through and he's putting me through crazy workouts that I just want to fall over when we are done". 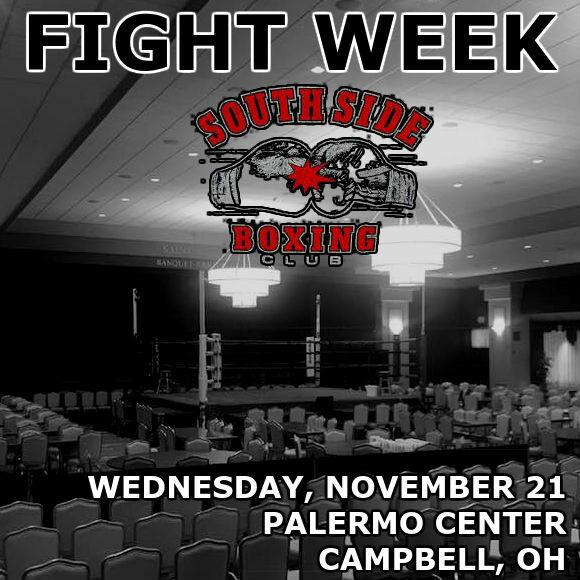 One bout that will have the attention of Youngstown will be that featuring the pro debut of Anthony Congemi of the Youngstown Police Department making his pro debut against Warren, Michigan native Robert Taylor (0-2) in a 4 round heavyweight matchup. Congemi, 38, knows that most fighters don't make a pro debut at his age but plans on making those most of his run in the sport while he has the time. "You are never too old to accomplish your dreams and I'd rather be 38 doing it than be 48 wishing I had done it", said Congemi. 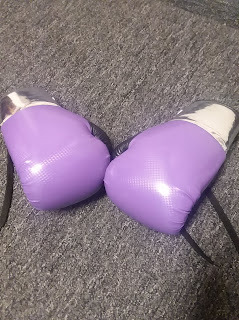 Besides fighting for self-pride, and the pride of the Youngstown Police Department, Congemi is also fighting for the memory of his cousin's daughter, Alivia who tragically had her life cut short at 10-years-old in a traffic accident so Congemi will be wearing purple fight gloves to show tribute to "Livin For Livi"
Rounding out the local talent on the fight card will be Chicago native Lavell Hadley who has been training in Youngstown and Daniel Infante. Hadley (2-4), who has been training at Southside Boxing Club the past few months, will take on Latiss Norman (1-2) of Cleveland in a 4 round super welterweight match while Infante of Burnside Boxing Club will take on Daymone Carter of Jamestown, NY in a 4 round heavyweight bout between two fighters making their debuts. Rounding out the action will be a battle of 1-0 fighters as David Rodriguez of Akron will take on Deon Goodlow of Pittsburgh in a 4 round super welterweight matchup. Weigh-ins for the event will be held on Tuesday at East Side Civics at 5:00 PM and is open to the public.